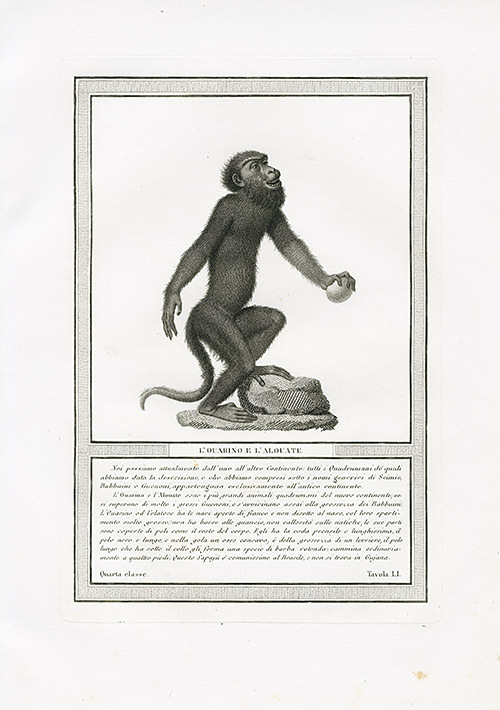 JSN1 NFS Scheletro Della Scimia di Wurmb. 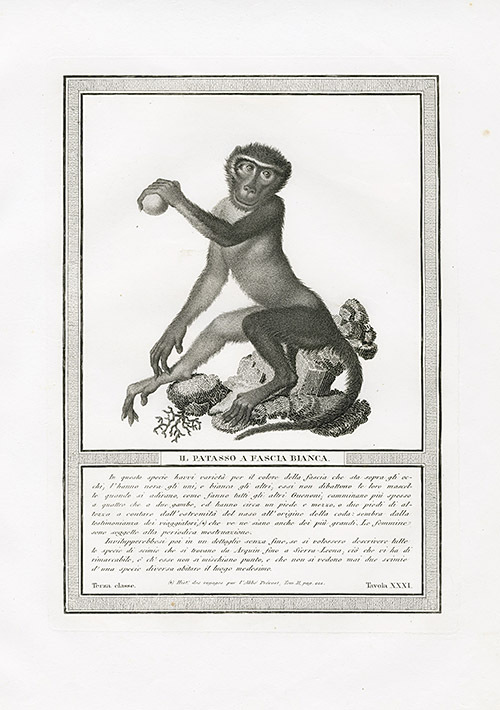 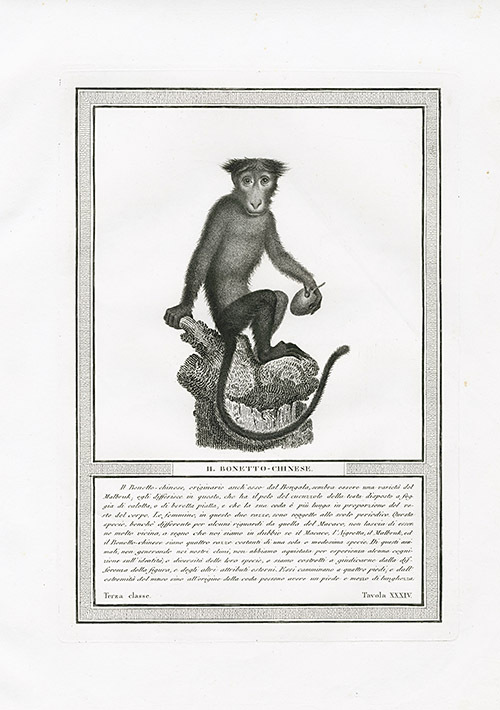 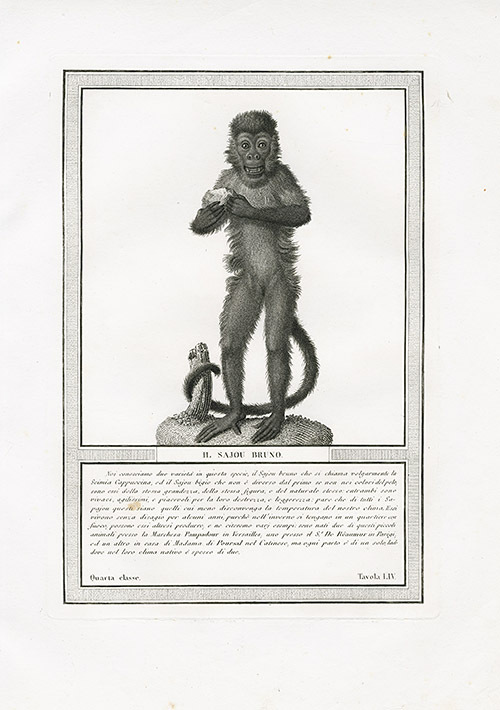 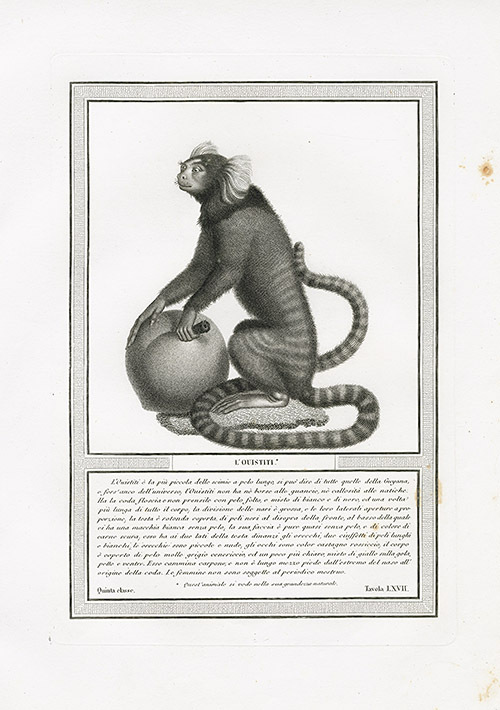 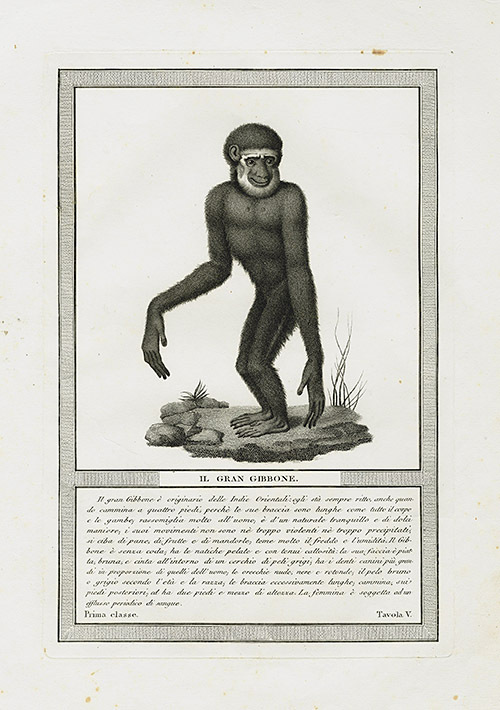 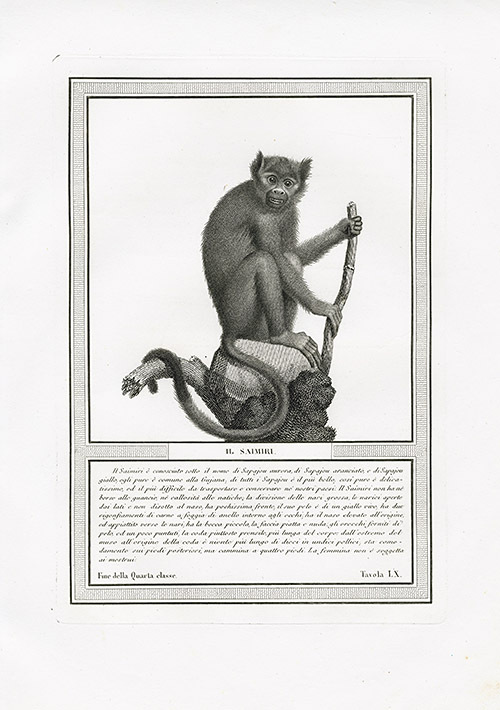 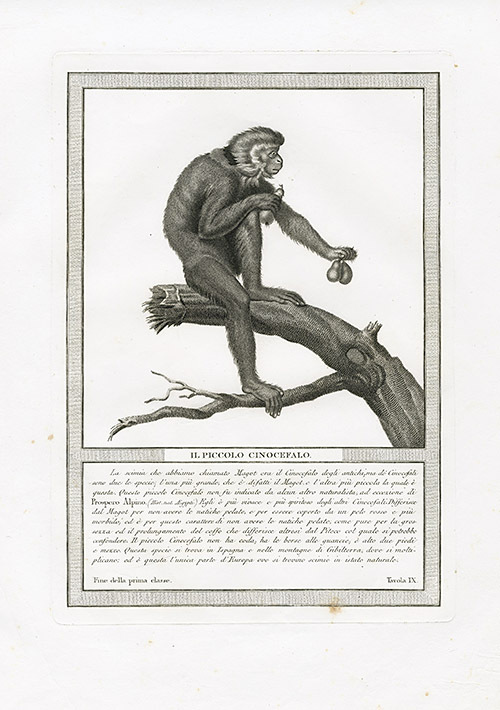 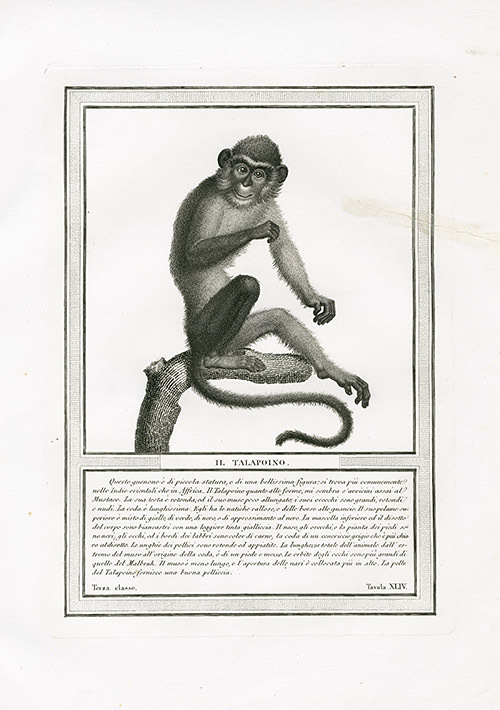 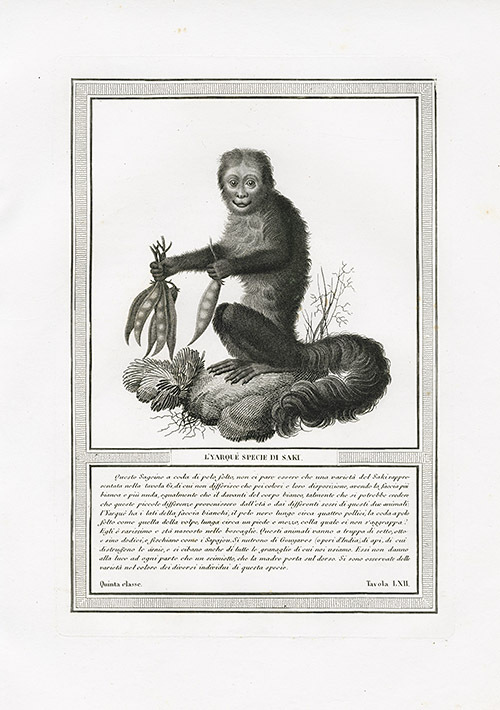 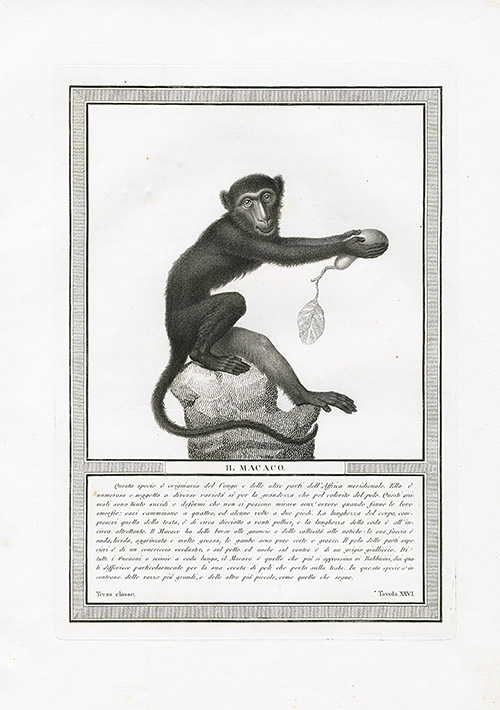 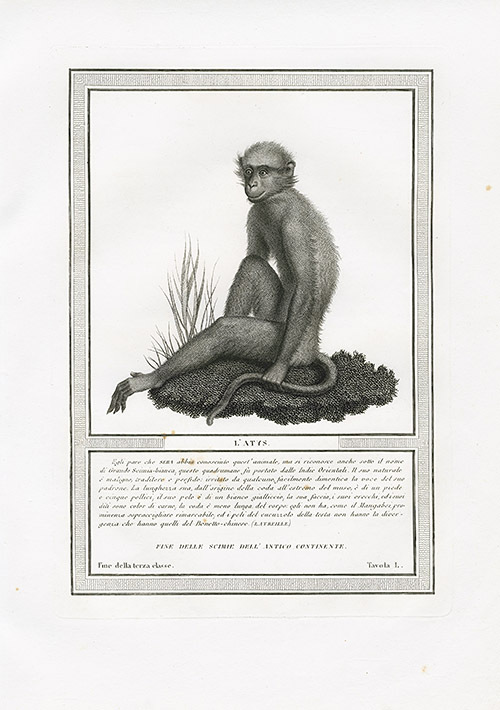 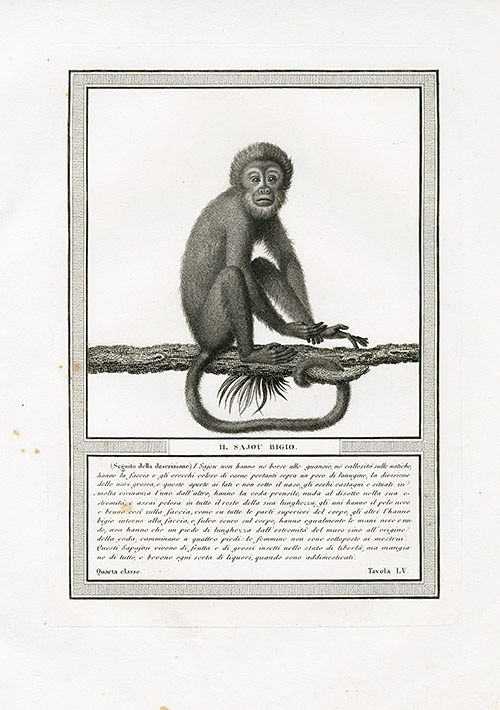 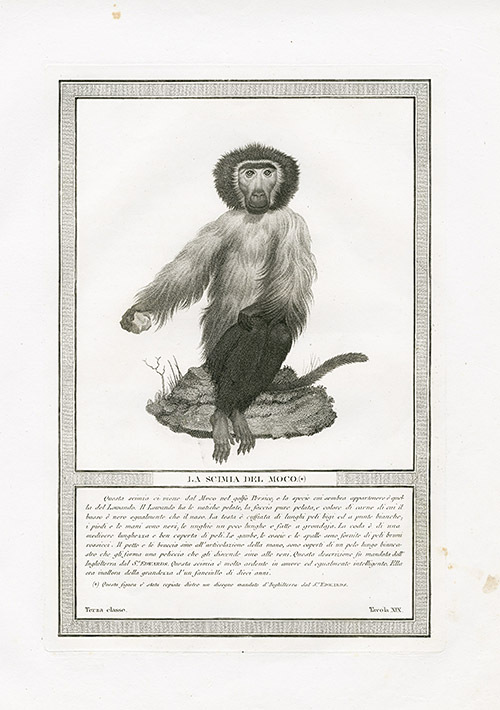 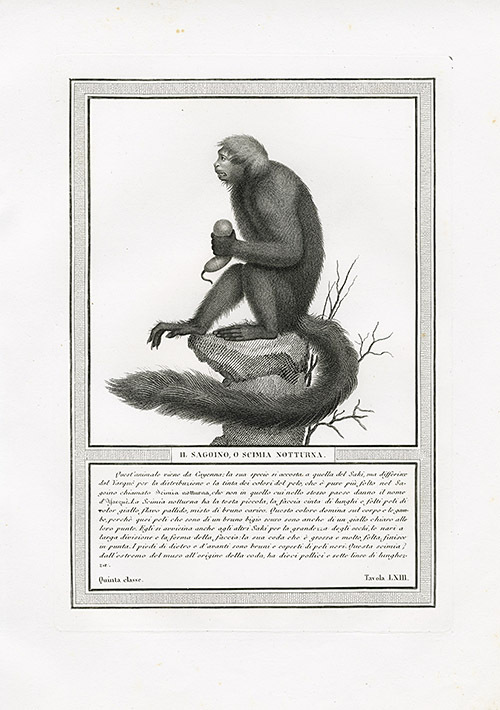 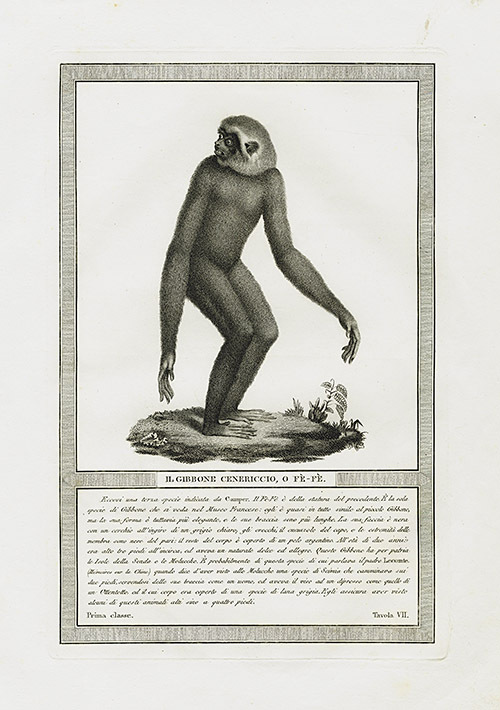 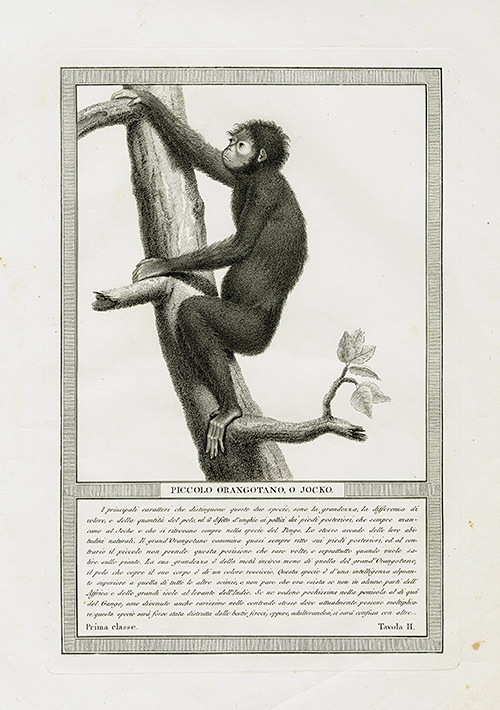 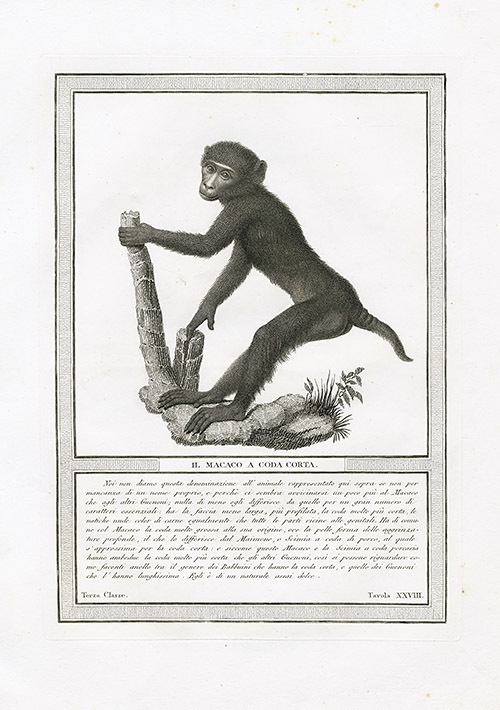 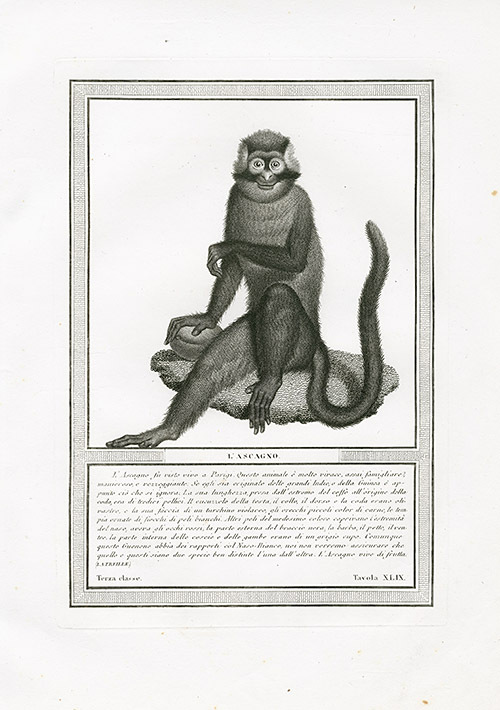 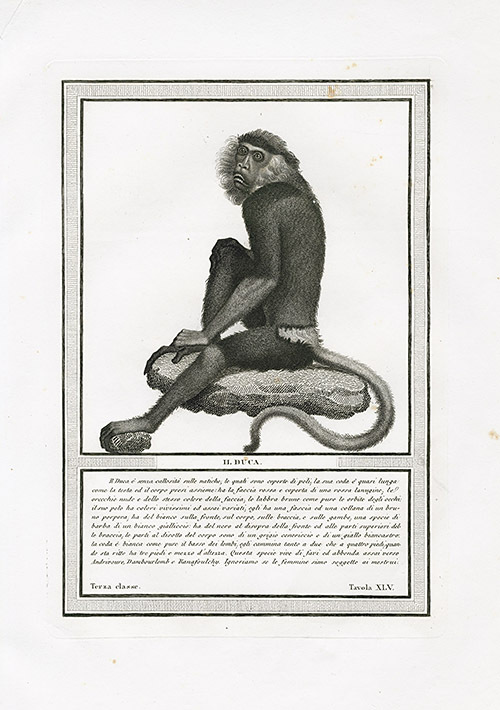 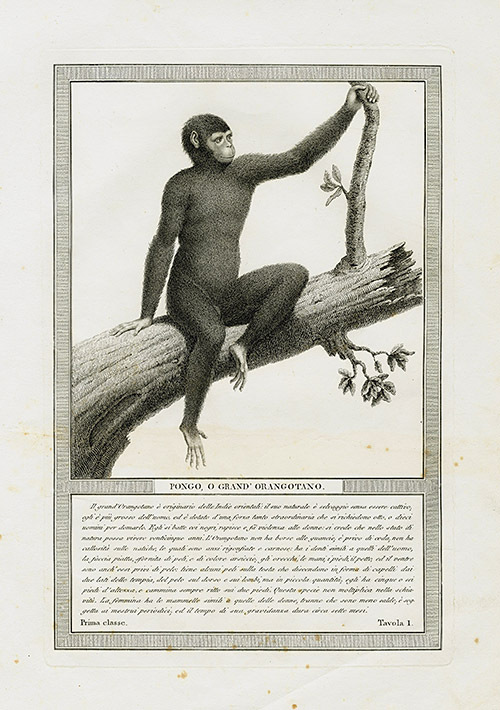 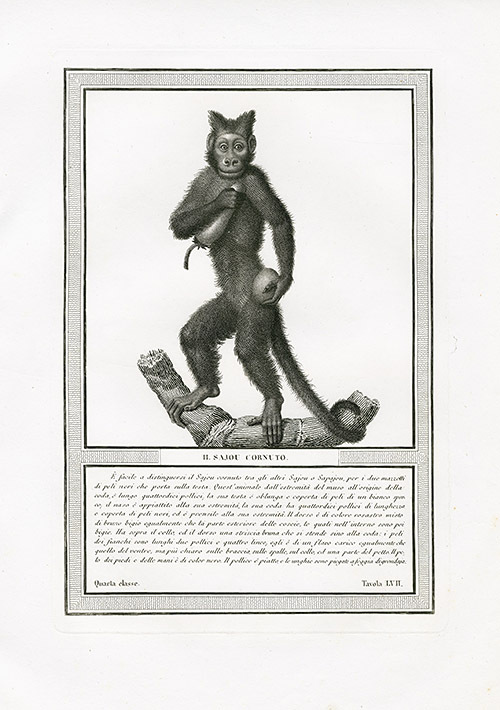 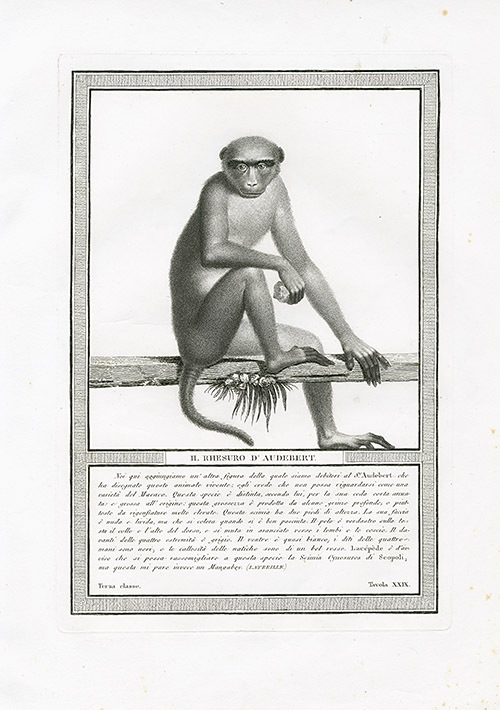 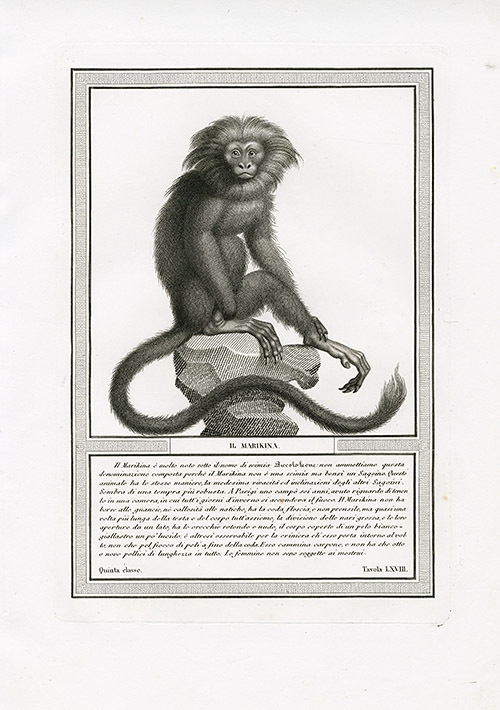 This iconic work shows monkey from both the old and new world. 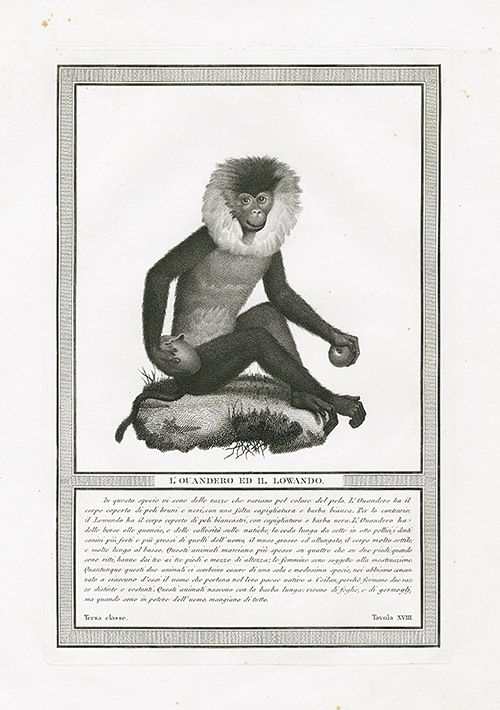 The French painter Nicholas Henri Jacob (1782-1871) was responsible for the originals, from which Luigi Rados made stipple engravings. 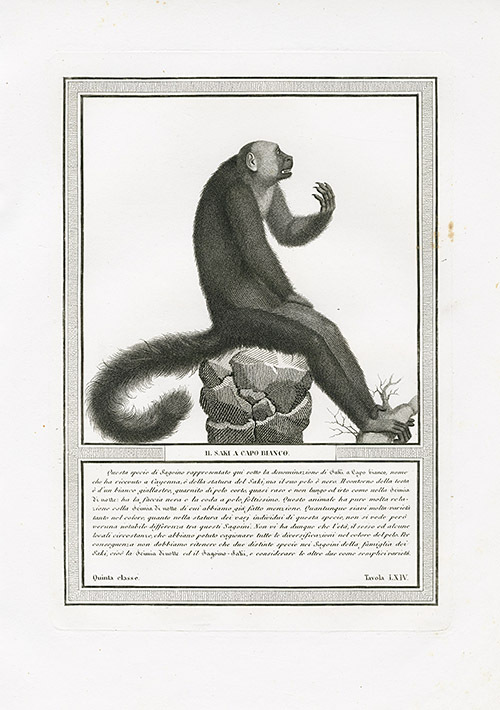 The work was modeled after Buffon, whose name appears on the title page, along with other great luminaries and scientists of the day. 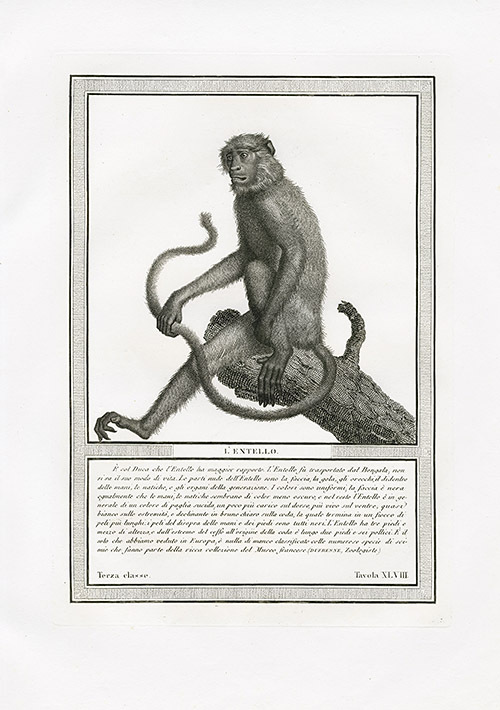 The prints are very finely done stipple engravings, the details of which are not fully captured in our scans. 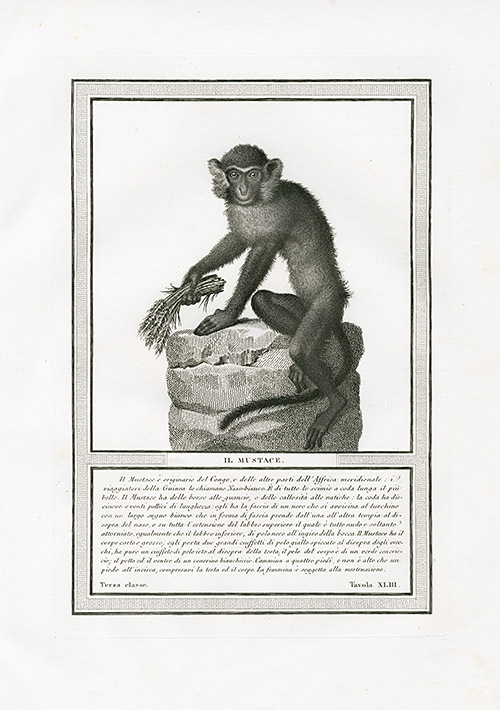 Each print measures approximately 17 inches long by 12 inches wide & the image area is excellent, with a little foxing in the margins on some. 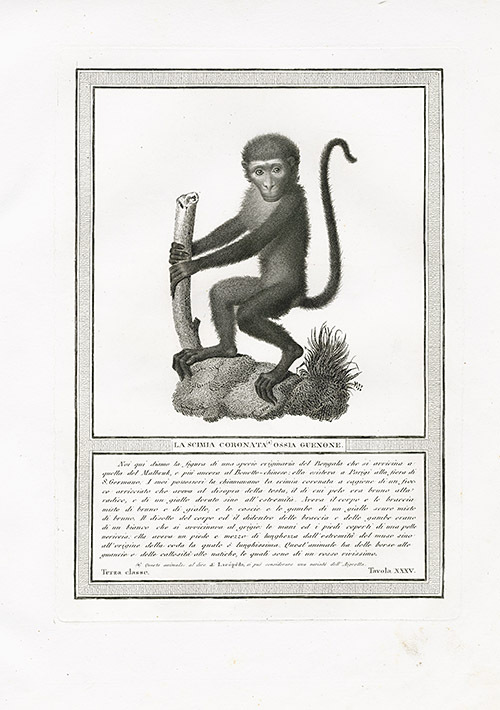 The paper is high quality wove paper, of a creamy white colour and margins shown in the images are a little smaller than actual size. 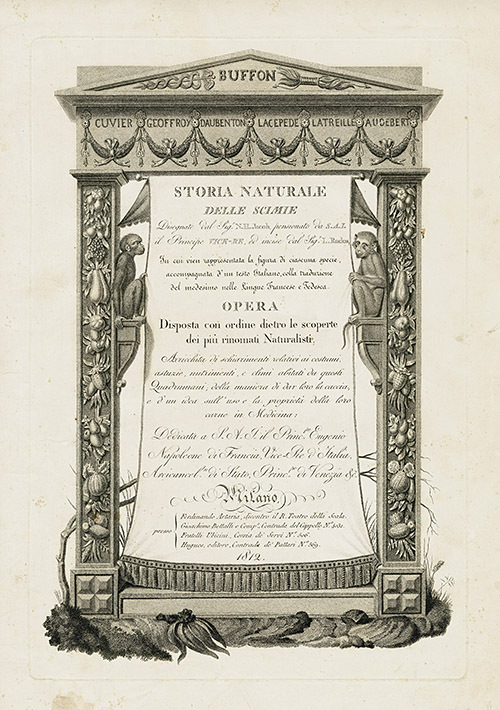 The text leaf in French & German accompanies each engraving. 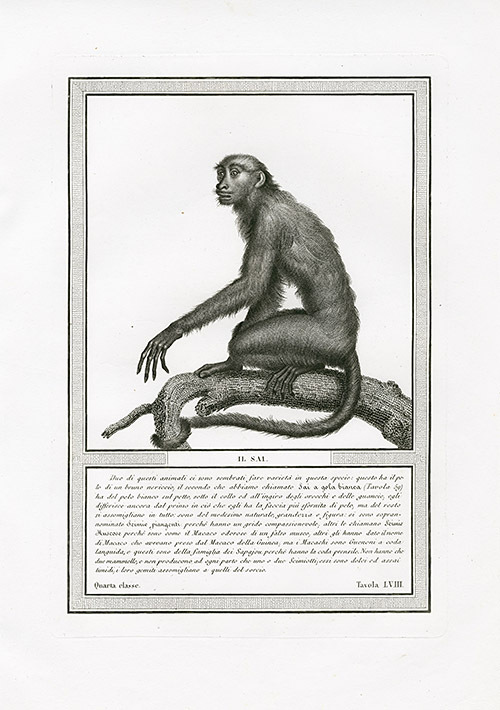 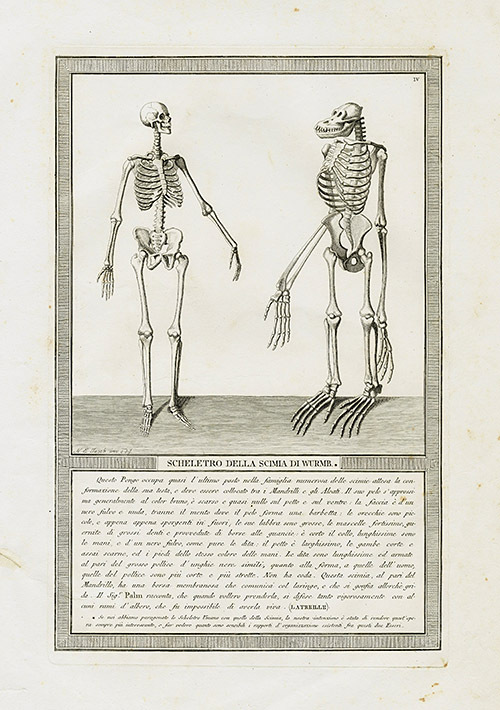 It is an excellent opportunity to obtain specimens of a work that is rarely available.